Reid Middle School — Barry Architects, Inc.
On this project the lowest bid was just under the project target cost. Once again, Barry Architects was on target. 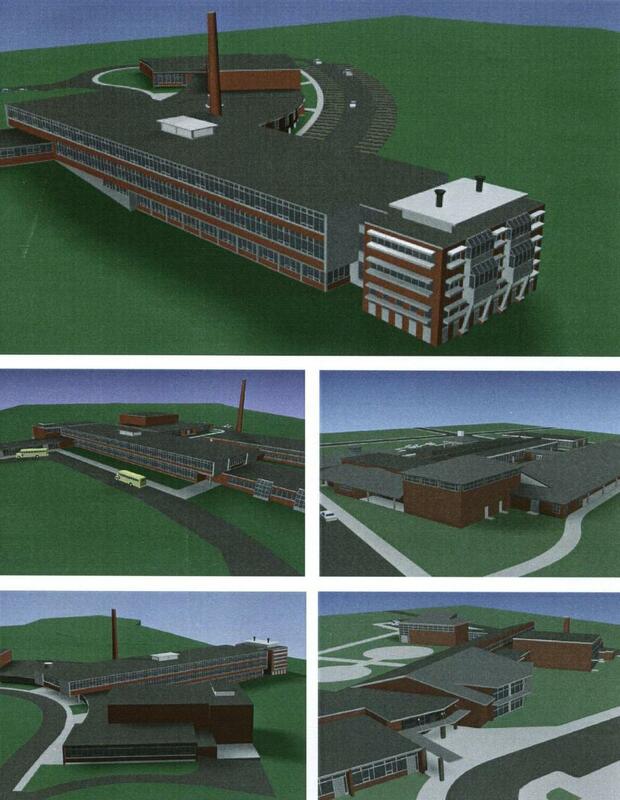 The final contract price renovated 94,000 SF of existing space and added 21,000 SF of new classrooms. Barry Architects coordinated the mass effort between the local and school community to design a premiere middle school that educates half of the city’s adolescents—about 800 students. After many meetings with the school superintendent, the principal, teachers, and parents, Barry Architects devised a plan that addressed the needs of the school community. In addition to interior renovations and the replacement of all finishes, windows, and mechanical and electrical systems, the firm also ensured that that facility met the requirements of both the Americans with Disabilities Act and the Massachusetts Architectural Access. Newly renovated spaces included special education rooms in the academic wing and, for the first time, an elevator permitting handicap access to the upper level of the regular education academic wing. A second elevator provided individuals with disabilities access to the lower level band room, and a wheelchair lift provided similar access to the stage. The firm also recognized the need to develop a space where students could explore areas like chemistry, biology, and physics. A new, three-story “Science Tower”, with the most current equipment, was attached to the end of the academic wing. This structure, which contained six science classrooms, created an educational beacon facing one of the city’s main streets. Barry Architects also developed a state of the art media/library center where skills in conventional research, word processing, and internet research could be taught.